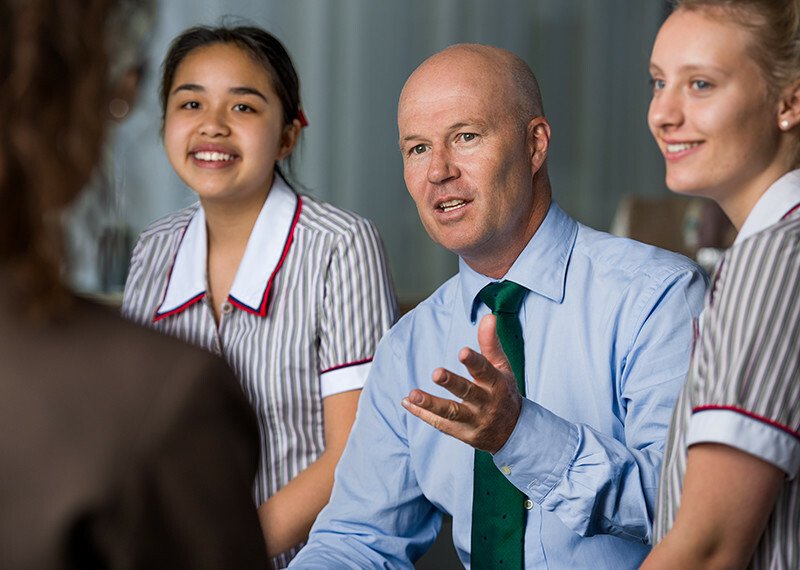 PDHPE studies at Ascham cover a wider range of topic areas that are rich in content, diverse in approach and aim to keep our girls safe, healthy and happy. Driver safety is a key topic, so when Senior girls are of driving age, they learn about and experience many aspects of safety on the road. Recently Year 10 went to Qudos Bank Arena to participate in the bstreetsmart NSW event, an initiative of the Trauma Service at Westmead Hospital and NSW Emergency Services. Students Olivia Causer and Cara Hersov report here on their day. ‘It was an invaluable experience [at the bstreetsmart event] and opened the eyes of every audience member. There were approximately 8,000 students from various Sydney schools in the audience, who all left with a whole new perspective on driving. On arrival, we were confronted with a re-enactment of a car crash, which incorporated the use of actors and real-life emergency service personnel, who worked together to demonstrate an all-too realistic portrayal. We were able to follow the crash, including the 000 call, the arrival of emergency services on-scene, and the consequences of the crash. ‘During the lunch break, we were able to walk around the downstairs area and visit the stalls from many organisations, including SES, Ubicar, and LTrent Driving School. We were also able to visit stalls run by NSW Emergency Services. There we were able to talk to police, complete CPR on a test dummy, try on fireman jackets and helmets, and sit in an ambulance. ‘After lunch, we listened to the stories of three crash victims. These accounts, while saddening, were incredibly inspirational and emotional. A demonstration of emergency braking in different speed zones by LTrent Driving School reinforced the necessity of staying under the maximum speed limit. A Theatresports performance kept us engaged, and showed the audience how to tell the driver to stop when they are driving inappropriately.